Beer boards have quickly become the standard for breweries, bars and even restaurants that offer rotating taps or simply craft beer. 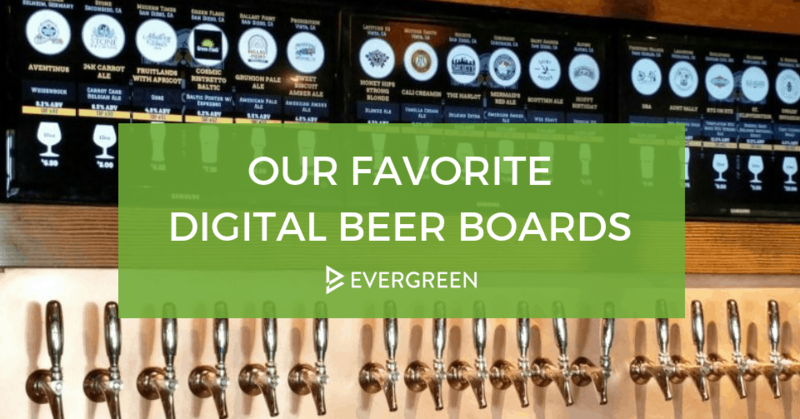 Whether you want to add a digital beer board to your bar or are looking to upgrade to menu software designed for beer menus, read on for an overview of Evergreen’s solutions and some of our favorite customer examples. Why we love it: The British Beer Company initially worried that a digital beer menu would clash with their traditional, pub style. This beer board shows that the right design can match any atmosphere! A background image mimicking weathered wood adds an old-timey vibe and accentuates the logo. 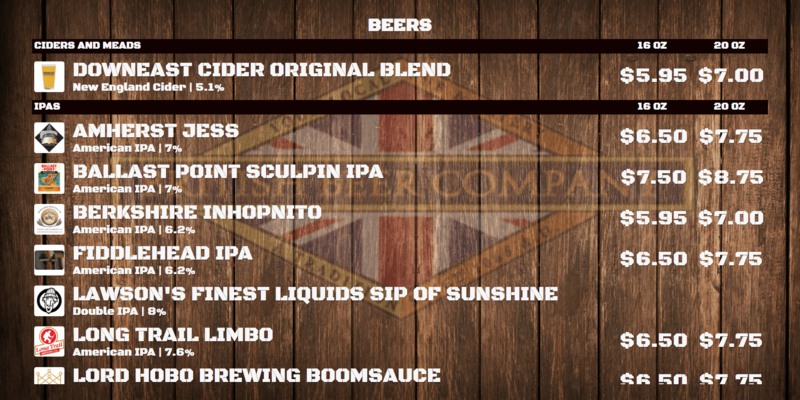 The dark background and light text make the board easy to read and the organization of taps by style (Ciders and Meads and IPAs) makes it easy for customers to pick a pleasing brew. 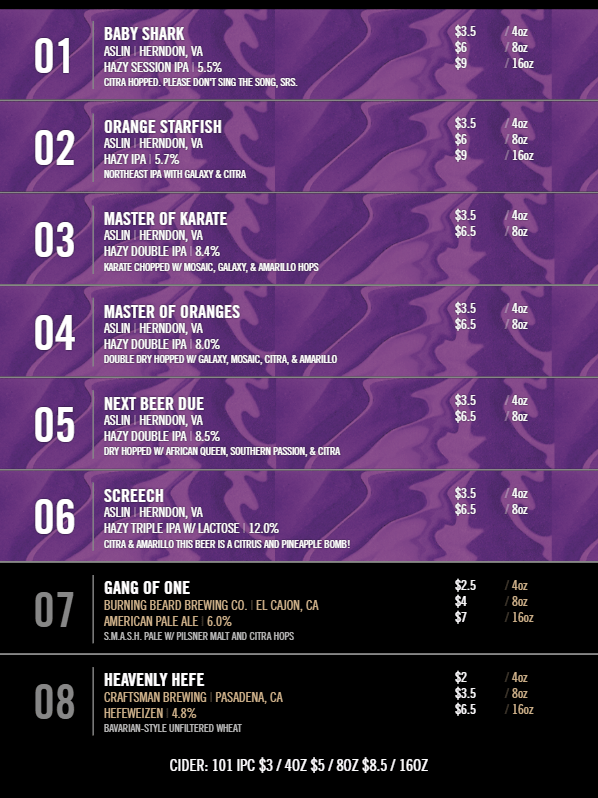 Why we love it: This beer board packs a serious punch! We dig the 1980’s arcade vibe that fits right into the games and rides at Extreme Fun Center. The use of complementary colors (yellow and purple) ensures that customer eyes will be drawn to this menu. 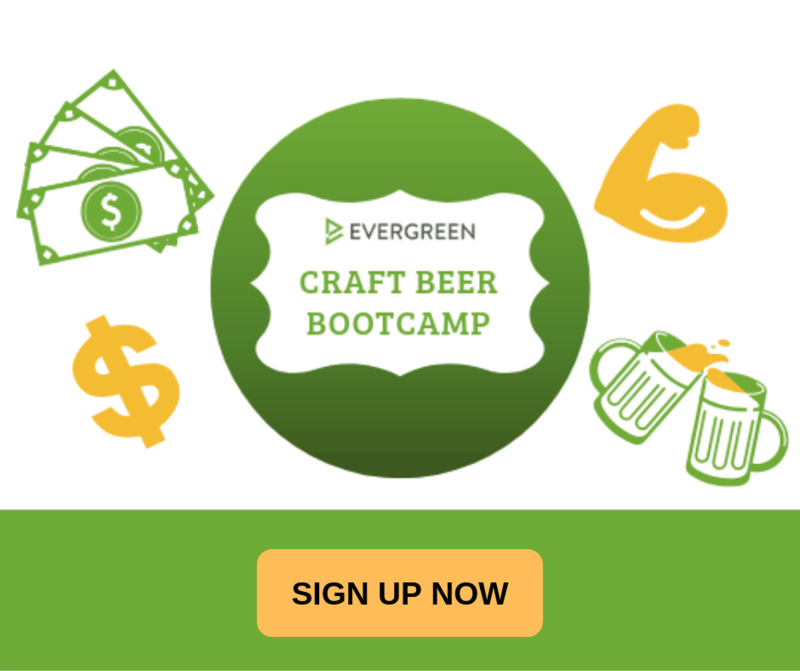 We also love the addition of a footer promote an upcoming tap–now that’s a smart way to keep guests coming back! 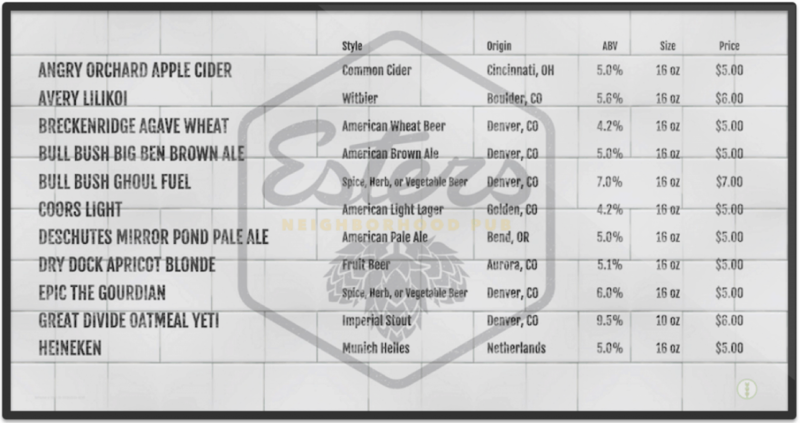 Why we love it: Subway tile and a grayscale logo keep things sleek and simple on this digital beer menu from Ester’s Neighborhood Pub. 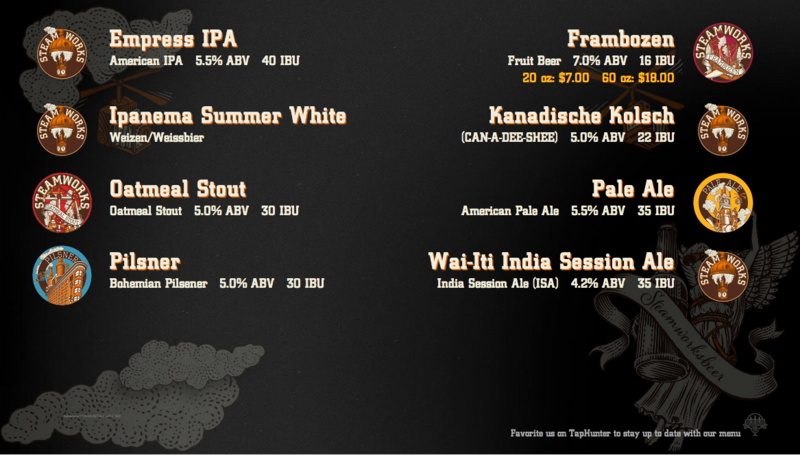 There’s actually a lot of info on this board: beer name, style, origin, ABV, size and price. But the monochromatic color scheme and simple black lettering keep it readable and chic, rather than overwhelming. 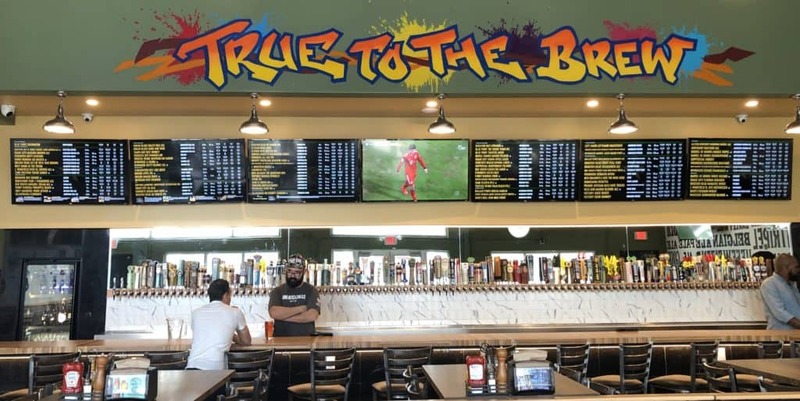 Why we love it: This beer board features some seriously cool design work! A dark background featuring local brewery Steamworks‘ branding lets the beer names and logos pop for easy reading and a splash of color. This board is fun to look at — 10/10 would order another round. 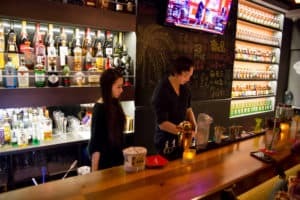 Why we love it: Customers love Bottlecraft‘s rotating taps, and this vertical beer board, which is organized by tap number, really shows them off! A minimalist layout and color palette keep things readable and put the focus on the beers themselves. A funky, 70’s-inspired purple backdrop perfectly matches this taproom’s hipster-chic vibe. Why we love it: When you’re a world-class brewery like Gordon Biersch, you want to be sure your customers know it’s your beers on tap. 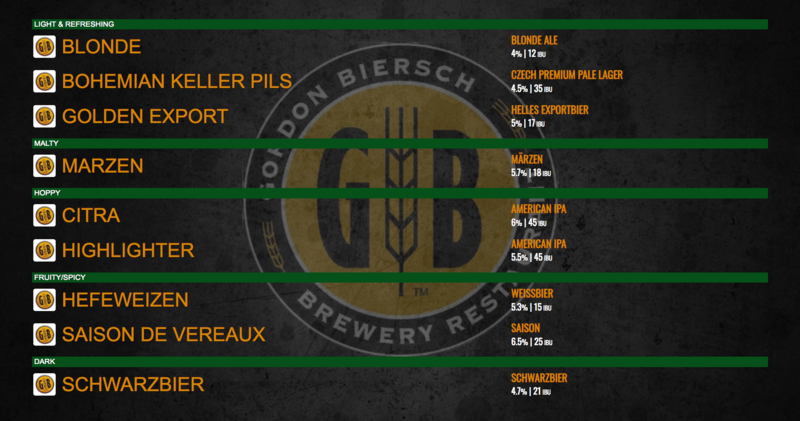 A simple green-and-gold color palette plays into Gordon Biersch’s colors and the inclusion of the GB logo as a background and next to each beer makes the branding even more prominent. The most customizable menu layouts and designs in the industry–organize by style, tap number, you name it! 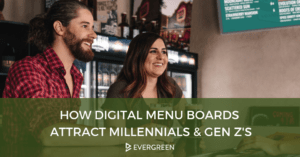 How do Evergreen’s digital menu boards work? The design process: Evergreen’s digital menu design options are endless. Whether you base your design on one of multiple templates, select one of thousands of high-quality Unsplash backgrounds or create a unique design that perfectly suits your bar’s personality, our tools will help you create your ideal menu. And the customizations don’t stop at fonts and colors! Evergreen digital boards can be horizontal or vertical and you can display all of your drinks on one screen or rotate through your whole list. You can add large images to highlight particular beers, food, merchandise or specials. You can also display multiple pour sizes and prices and even rotate through promo images to drive sales (e.g. Happy hour promos, food specials, merchandise, etc). The hardware: We provide the customized hardware, no software to install! Simply take the device and plug it into any existing TV (or TV’s) at your location. That’s it! 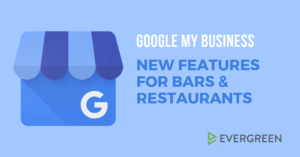 How it saves you time: Your digital beer board (and your print, Facebook, Google and website menu) will automatically update in real time when you update your beer, spirits, cocktail, wine or food list from the Evergreen dashboard. No refresh needed. 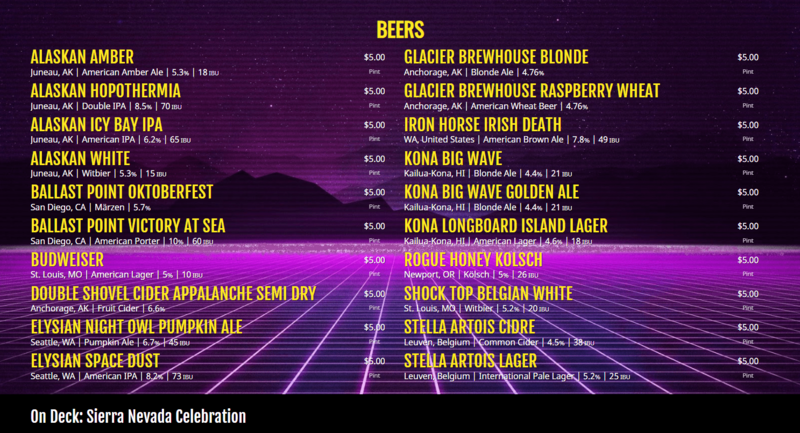 The price: Our digital beer boards are very affordable (starting at $49-per-month). Our team will work with your location to find the package that is best for you. Request more information to get a customized quote!